Yesterday afternoon, my wife and daughter joined me for a quick trip to the Mall at University Town Center on a bit of an adventurous whim. 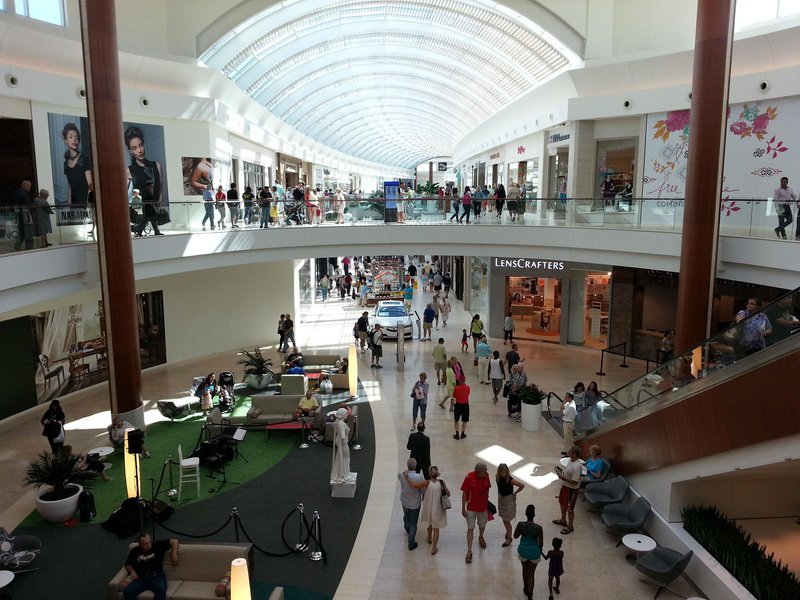 Since it was opening day, we expected the mall to be slammed with shoppers and curiosity seekers like us who just wanted to get a look at the area’s first enclosed shopping mall in decades. We also expected a ton of traffic, which is why we opted to drive North on Cattlemen Road from Fruitville instead of braving the I-75 & University Parkway interchange. We were pleasantly surprised. Shocked, even. The mall was loaded with people, so no surprise there. What was so surprising was that the process of getting a vehicle in (and later out) of the mall parking lot was a breeze! Having driven through there on more than one occasion in recent weeks, we expected the worst. Perhaps the nightmare of sitting through multiple cycles of traffic lights and being unable to move for extended periods of time—all of which are fair characterizations of our experiences with traffic at Cattlemen and University Parkway of late—were mostly attributed to all the construction and lane closures as the mall developers frantically scrambled to lay down the pavers and other accoutrements in the area. Yesterday, even though there was significant traffic, we experienced no difficulty navigating through there. That said, the mall is beautiful. The developers and retailers have all done a fantastic job creating a very pleasant shopping environment. We immediately sought out the Starbucks located on the first floor of Macy’s (it’s near the North entrance if you’re planning to find it yourself), and treated ourselves to some caffeinated beverages before braving the crowds. As we later discovered, there’s also a kiosk-style Starbucks located on the first floor of the mall itself as well. We didn’t stay long. We had planned to say “hello” to friends at Jackie Z Style Co, which migrated from its location on Main Street in Sarasota to occupy a spot near the 2nd-story entrance to Macy’s, and aside from that, just make the rounds on each of the mall’s two levels to get a feel for the lay of the land. Most stores were filled with shoppers, and it would be surprising if any of the retailers ultimately turned out to be disappointed in any way with their official opening day. All in all, we’re quite thrilled to have this new mall in our beautiful city! It truly is an asset to the area, and we look forward to enjoying all the benefits with the rest of our community.